Cattle and dairy farms make up most livestock farms in the U.S., with more than 700,000 beef farms located across the country. The two types of cattle farming are often conducted on the same farms, but also on separate farms depending on the owner. The amount of beef cows is significantly larger than the amount of milk cows in the U.S., but both are continuously successful in food production. Cattle farms are most commonly found in the following five states: Texas, Nebraska, Kansas, California and Oklahoma in order of volume of cattle owned in the state. These farms raise cattle to produce foods like beef, milk, cheese and several subsequent by-products that form essential roles in daily life for most people. Cattle farms are best established on land with vast green pastures upon which the cows can graze, as well as quality soil that would be suitable for crops. Therefore, nurturing the soil and ground is a must for successful cattle and dairy farms. Cattle farms can be less extravagant when it comes to housing and infrastructure, as the animals can easily thrive in various weather conditions. However, all cows still need fresh water, dry feed and a well-kept and clean-living area for be st growth. These conditions will differ between cows bred for beef and cows bred for dairy. 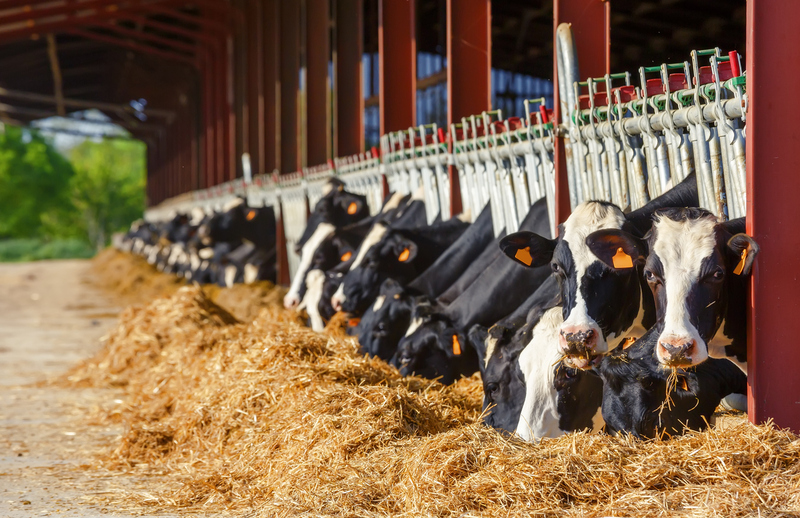 Dairy cows often spend more time indoors in housing suited for the milking process, while beef cattle are mostly kept outdoors because of their resilience. 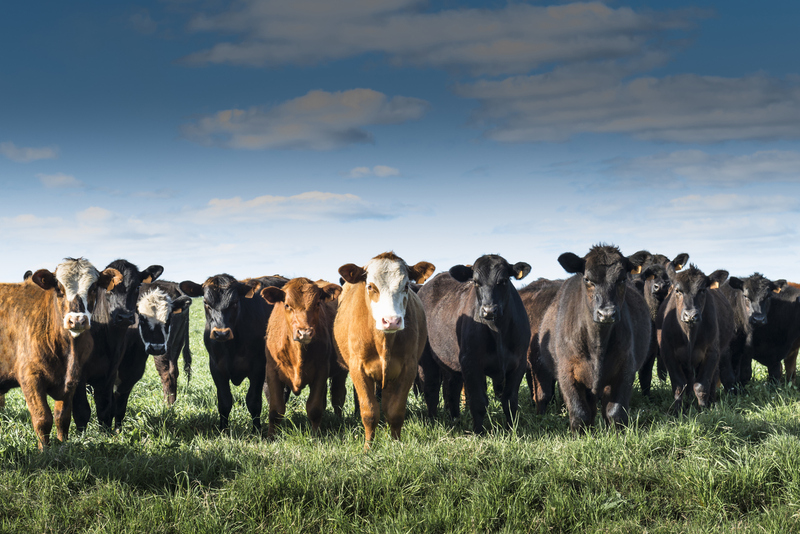 On average, a herd of beef cattle reaches several roughly 40 and many of the leading cattle farms can host up to 1,000 (or more) cattle at a time. With the high volumes of cattle farms that exist in the U.S., it is only natural that this produce is a major source for exports. The U.S. sends beef and dairy products around the world to places like Japan, Mexico, Canada and Hong Kong, which are among the top six receiving countries. As a result, farms become larger and production quality and volume increases. 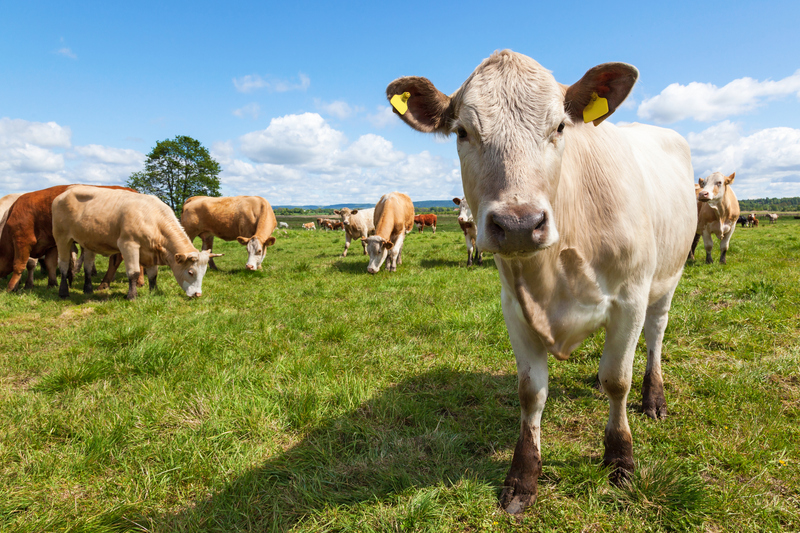 This not only brings in a welcomed amount of revenue for the country, but also allows the food market to provide better beef and dairy to people inside and out of the U.S. This type of farming might not seem accessible to most, but it can be simple and very beneficial to open a cow farm in an area with ideal outside and soil conditions. The essence of efficient cow farms will always be the way the farm is run and how the cows are cared for which is both ethical and profitable. Once a farm has this under its wing, the process is already halfway there.